What to Expect from a Home Inspection! When buying a home, the home inspection can be daunting, but do you know what to expect from your Home Inspection? When it comes to buying a home, the home inspection seems like another hoop to jump through however, it is important to have the home inspected by a qualified professional. There may be issues that come up during the inspection that should be addressed before you purchase the home and finding out about them upfront can benefit you in negotiations and give you peace of mind. The home inspection is performed to protect the home buyer from any pre-existing problems the house may have. 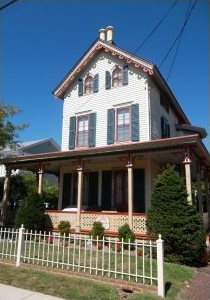 Exterior The home inspector should do an examination of the outside of the house including the roof, foundation, structural framing, siding, chimney, etc. Your home inspector will look for signs of water intrusion, insect infestation such as termite damage, and building components that appear to be in poor repair. 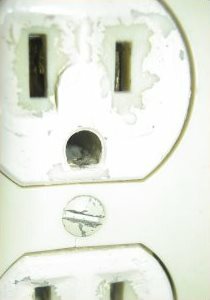 Electrical: The electrical circuits should be tested for reverse polarity and to make sure that there are no missing outlet or junction covers. The GFI panels in the breaker should be in working condition and wires should be in safe working order and not overloading the circuits. Appliances should also be tested and in good working order. 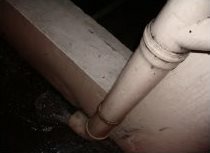 Plumbing: During the inspection of the plumbing, the inspector is looking at the pipes, as well as drainage. Leaks, dysfunctional flow, poor caulking, and lead are some of the issues that can arise. If Asbestos Pipe Wrap is found, it must be disclosed since Asbestos is a potential health hazard. Asbestos Abatement requires a specialized, licensed contractor to perform this work. Ventilation: Proper ventilation is important because moisture can get trapped in the home making it more susceptible to Mold. 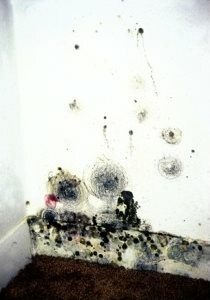 If visible Mold is found, a professional mitigation company should be called to remediate. Insulation should also be inspected for moisture and that it is not loose. HVAC: The home inspector checks the condition of the units as well as the age and assures that they are functioning as intended. He may recommend Duct Cleaning if necessary. 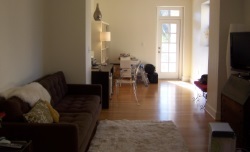 Interior: The interior of the house is looked at for cosmetic issues like water stains or damage to walls or fixtures. More importantly, if lead paint, Asbestos Tiles, and major cracks in beams or plaster are found, they are noted in the report. Radon Testing: Radon is a colorless, odorless gas that has been linked to lung cancer. 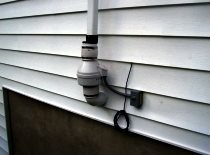 It is estimated that 20,000 people a year die from lung cancer that is traced back to Radon. If the test for Radon comes back higher than 4.0 pCi/L, a system should be installed. It is negotiable who pays for the system but, allow several weeks for installation and post-testing. 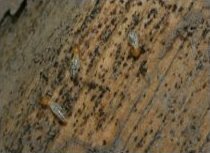 Termites: Since termites bore holes in wood and can compromise the structural integrity of a home, a termite test should be performed as part of the inspection. Some lending agencies currently require termite inspections. Choose a home inspector carefully. It is not uncommon to interview different inspectors to determine who you want to trust your new home to. Ask questions and expect clear and concise answers. Mike Walley from Comprehensive Professional Inspections, LLC (www.cpinspectionsllc.com) says to ask questions from your home inspector, as a home buyer, you have hired them to look out for you. When choosing a home inspector he says to ask yourself, "What is the home inspector going to give you? Will they give you their time?" What is included in the report? Do you include pictures? Will you be inspecting the roof from ground level or will you be going up on the roof for inspection? It is important to choose your inspector carefully, and don't be afraid to ask them questions. Your inspector is your best defense in making sure you don't regret your purchase later. Walley asks this question when it comes to your home inspector, "Are you a number or a name?" We hope you found this information helpful! Should your home inspection turn up signs of Mold growth, Asbestos, or Radon that needs to be addressed, please don't hesitate to Contact Our Offices! We are happy to assist you, and are unmatched in our commitment to resolving indoor environmental issues.